So Thanksgiving is almost upon us, and Christmas decorations have been out since before the first piece of candy was doled out the wandering ghosts and goblins, but guys, it's crunch time. We only have a little over a month left until Christmas...and if you're anything like me, you're a procrastinator. Luckily, Saks and the Fashion Show Mall here in Las Vegas has us late shoppers covered! 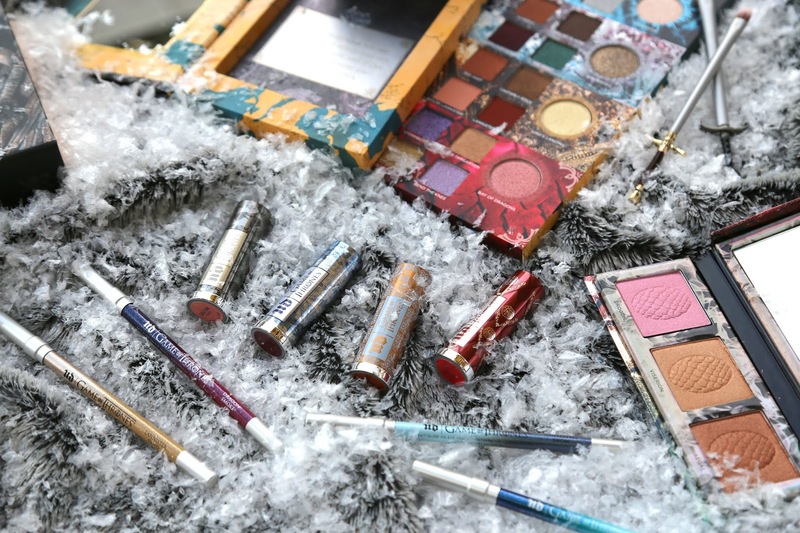 Read on to see some fun gift ideas for the beauty and fashion lover in your life, and tips and secrets on how to make your shopping experience at Fashion Show a painless and productive one! First, let's start with my favorite part - the gifts! While I AM a procrastinator, it's usually because I pride myself on finding THE gift, you know, that perfect gift that the recipient didn't even know they needed? From gumball machines to a Zombie Strippers DVD (seriously), I'm in it for the long haul! 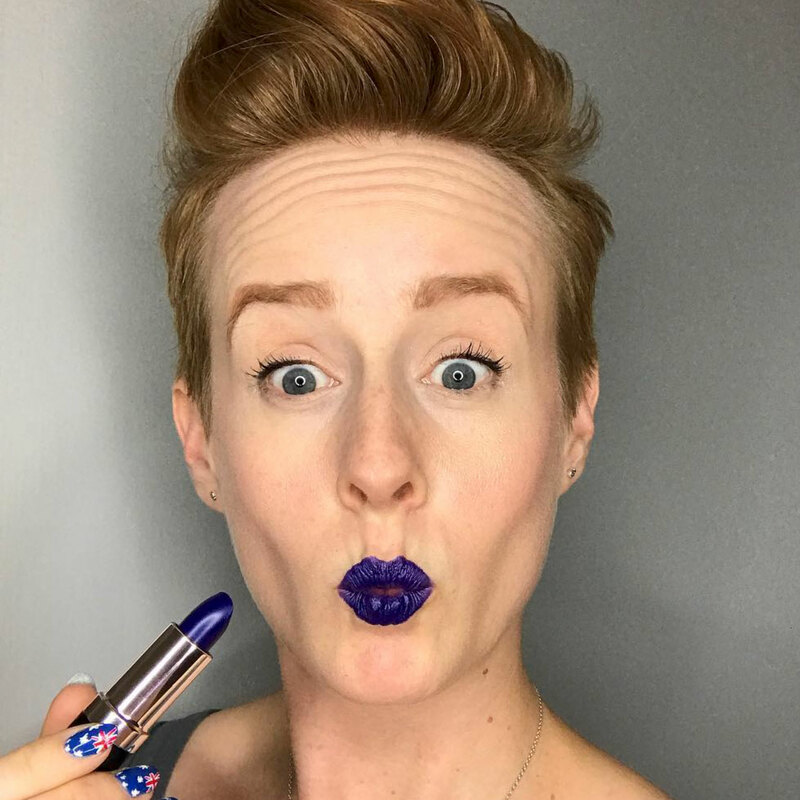 Being a lover of all things beauty, I was naturally drawn to the new YSL Beauty Dazzling Lights Holiday 2017 collection and their new Tatouage Couture Liquid Matte LipStains, which are sure to be a favorite any time of year - I have it in the shade 12, which is the perfect red! 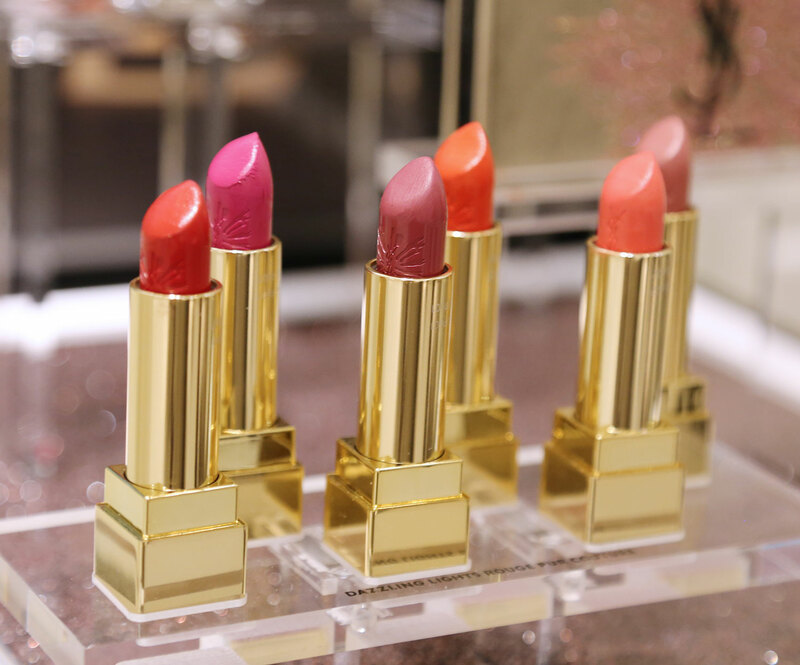 The Dazzling Lights collection boasts 6 gorgeous lipstick shades to complement any complexion, 2 sparkling nail polishes in red and gold, and a stunning multi-use makeup palette encased in gold metallic packaging. Now that we have the makeup lover in your life covered, let's move on to fragrance! I'm super picky about fragrances, and I don't tend to wear any of the popular fragrances on the market these days. Some of my favorites are from Byredo (Oud Immortel, Accord Oud, Super Cedar), Tom Ford (Oud Wood, Neroli Portofino, and many, many others! ), and I was pleased to discover that I had some new favorites from Jo Malone! 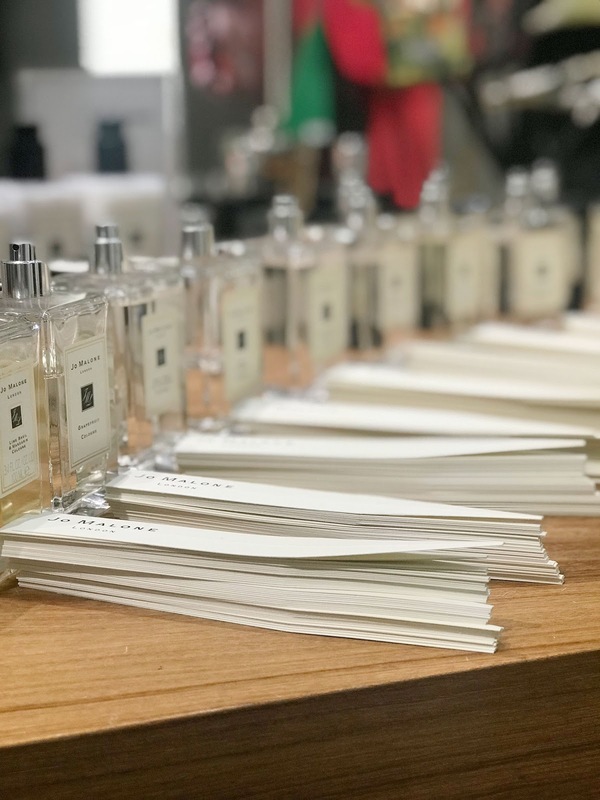 There were a handful of their scents that I loved on their own, but one great thing about Jo Malone fragrances is that they're sheer, and allow for beautiful layering. What does this mean? It means that you can create your own unique scent, which I LOVE, because I NEVER want to be wearing the same fragrance as someone else in the room. Call me a fragrance snob, I know. One of my favorites is Basil & Neroli, I like how it's a light scent that has hints of greenness from the basil, and the light white floral of the neroli. Like Tom Ford Neroli Portofino, it's one that is out of my normal masculine scent preference, but I really enjoy it–it's perfect to brighten up a blah day! 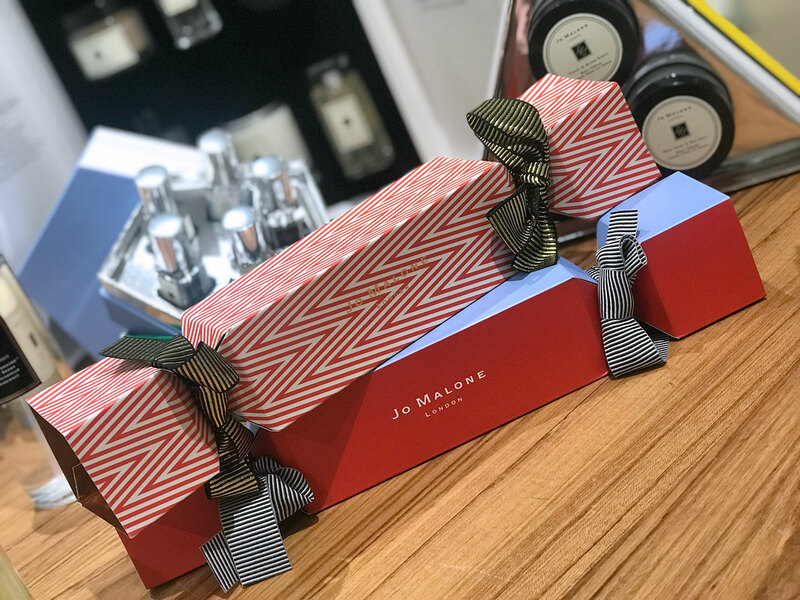 To make gift giving easy to your fragrance-loving recipient, Saks carries several fantastic Jo Malone gift sets to accommodate any taste! OK, so you've got your gifts, let's focus on you. There are holiday parties coming up. TONS of them. Are you going to ditch them and hang out on your couch with a pint of Ben & Jerry's? (Not judging, unless you don't invite me) Of course not, you fabulous creature! Well, then you're going to need something to wear! 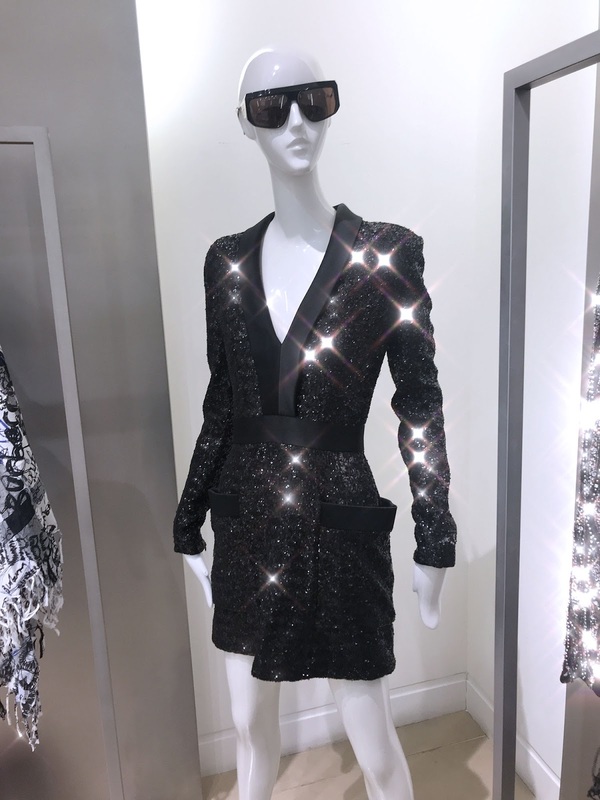 With Balmain, Moschino, and Saks, we've got this holiday season covered. Aspire to be that effortlessly cool girl with a bit of an edge? 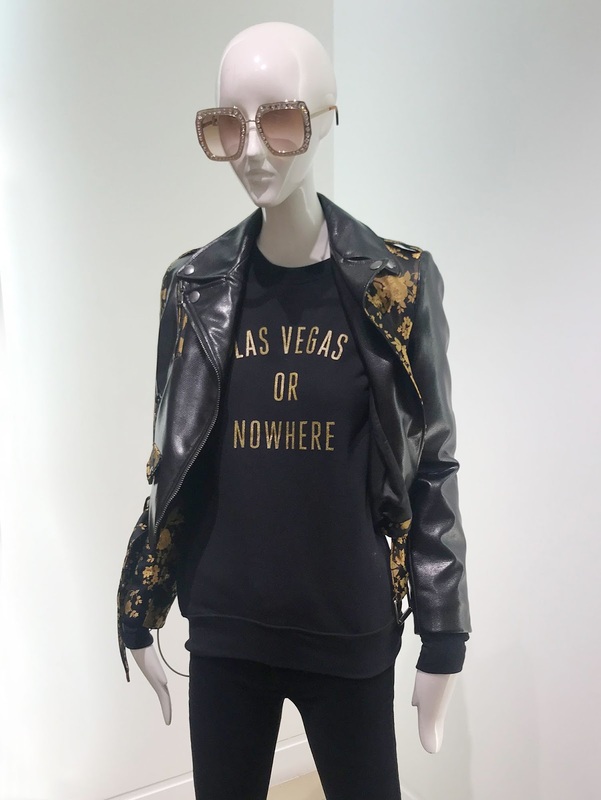 This Moschino Moto jacket is the answer, and it's definitely on my wishlist (but sadly, not in my budget!). All about the drama? 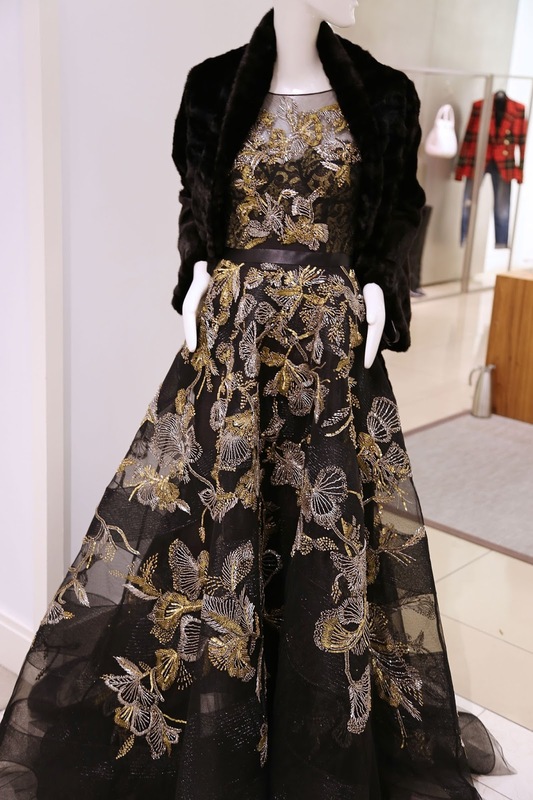 I definitely see this gown in your future! I wish I knew the designer! I DID promise those to you, didn't I? Well, even though they're secrets, feel free to share them with your friends! Fashion Show Mall has some pretty killer amenities this year to make holiday shopping absolutely painless! 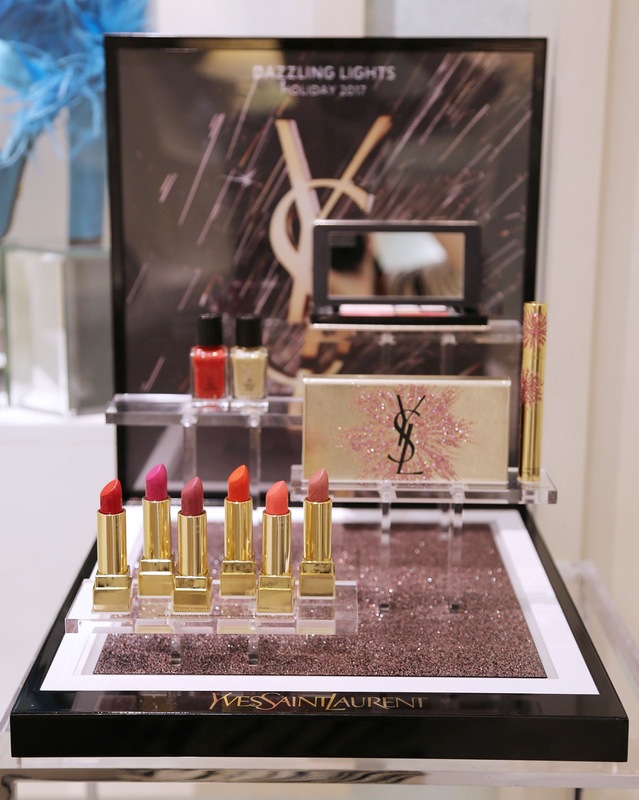 Boasting 250+ retailers, Fashion Show Las Vegas has some of the most sought-after retailers and designers. To ease holiday stress, select stores are offering complimentary alterations– you can enjoy alterations at the Buckle, Hugo Boss, Optica, Pinto Ranch, Tadashi, and Under Armour, plus many more! Who needs to lose circulation to their hands from lugging around too many bags? Nope, not you! There are several retailers offering free shipping directly to your home this season. It really doesn't get easier than that! I love the thrill of the hunt, but I realize that I'm one of the few! For those of you that struggle with the perfect gift, or just don't have time, stores like Coach, Louis Vuitton, Saks Fifth Avenue, and Neiman Marcus (to name a few) are offering personal shoppers to make gift giving so much easier! What does this mean? It means that you can valet your car at Saks, and pick it up at the Valet location on the entire other end of the mall. I'm usually wearing stupid shoes - read: heels that are probably VERY cute, but too narrow, and not built for function. This idea is genius to me, especially when I have to stop shopping so I can focus on the mere act of not bursting into tears over each step. 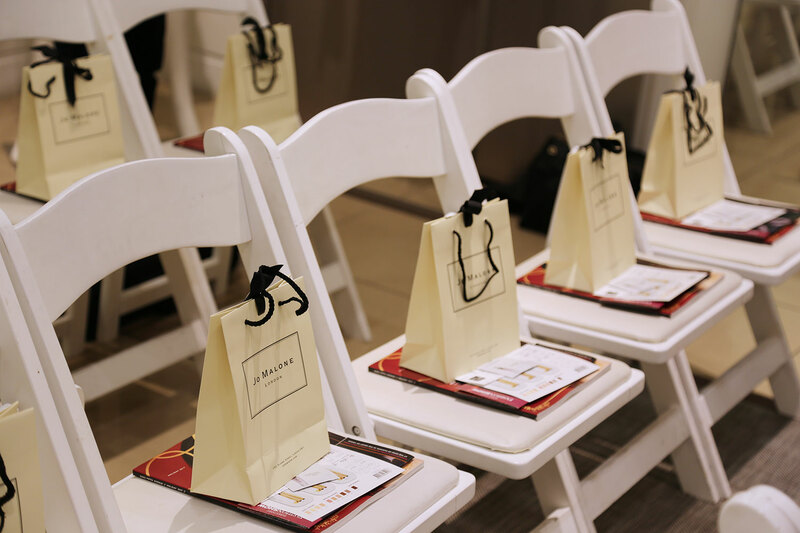 Ambassadors are on hand to help guests with any number of services–directions, gift ideas, even its "Wednesday Wrap Up", which features complimentary wrapping of up to 5 gifts with a Fashion Show receipt from the same day. This is great for those of us without Martha Stewart on speed-dial.